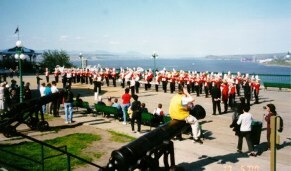 YRHS ALUMNI BAND performed in the Exhibiton Parade on Saturday, July 5th. 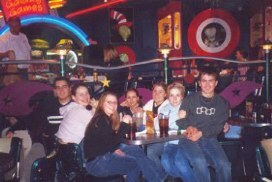 ....thanks to all those who attended and helped organize the event...the 2nd annual event is being planned for 2004. Retirement event held....To all those who attended, the special presentations and musical performances...it was a very special evening...and to have my family present, with so many students and friends....and to the MC Lorne Yeo, adult jazz band who performed, the musical events by Braden Prihag and mom, trio by Jana Wlock, Charle Vorester and Jennifer Ingham accompanied by Mrs. Jemieff, and clarinet solo by Sara Wiley, the event organizers Marj and Bernie Wlock, Joanne Zapshalla and Lynn Brand, and your volunteers a special thank you. BAND FINALE CONCERT Held... it was a wonderful evening of music making...and presentations (GX Radio, and Band Boosters). The special selection performed by the YRHS Bands and Choir "You Have Made A Difference" by friend and composer Ron MacKay from Truro Nova Scotia was a wonderful surprize. Thanks for the memories.....you played so well. Good stuff...what a show! and the Riders won too! YRHS Marching 100 Raiders performed O Canada and the Half Time Show before 27,000 spectators at Taylor Field, Saturday, May 31st! for the Saskatchewan Roughriders! ORLANDO .....WOW....what a trip....wish you all could have been there....wonderful sun, great crowds, and lots of time to see the sights with band friends..... The YRHS Music Department flew to Orlando Florida during the Easter Break for 10 days.... view the photos of each day's activities! CLICK HERE TO GO TO THE ORLANDO TOUR PHOTO GALLERY! YRHS CONCERT CHOIR INVITED TO OTTAWA FOR CANADA DAY CELEBRATION...check out details on choir page. 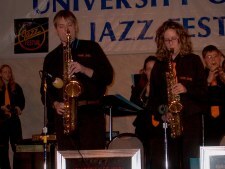 Two University of Saskatchewan College of Education music students will observe YRHS Music Department during month of May. We look forward to having Paul Suchan and Shaun Bzdel working in our school following our tour to Florida. 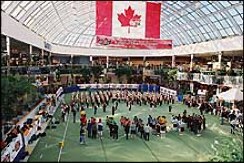 YRHS Marching 100 will be performing a Half Time Show for the Sask. Roughriders vs Winnipeg Bluebombers on Sat. May 31st 7:30 p.m. It should be a great show...rehearsals on Friday mornings at 7:45 am. 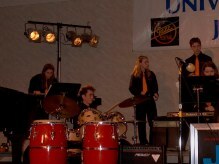 University of Mary Jazz Festival.. GREAT JOB JAZZ I !! 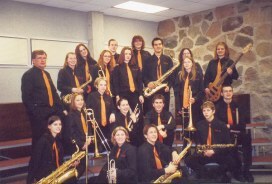 Little Caesars Pizza....is offering a credit to the YRHS Music Department for all orders placed......"YRHS Bands" must be mentioned on all orders on days other than Monday and Tuesdays... Please support this sponsor. The YRHS Marching 100 Raiders performed at the RCMP Musical Ride on Saturday, August 31st in support of the East Central Health Foundation. Thanks to all those who performed! 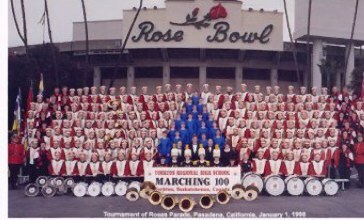 Did you know....the YRHS Marching 100 Raiders were invited to apply for the 2004 Tournament of Roses Parade....wow.....this is a real honor ......what impressions we must have left in 1998! 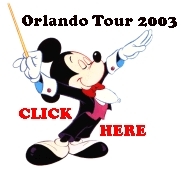 ORLANDO MUSIC TOUR PLANNED FOR EASTER 2003.... You can still sign up for this trip if you missed the September deadline. Contact Mr. Pearen at 786-5579 ! YRHS BANDS BRING HOME GOLD! Congratulations to the members of the Senior Concert Band and Jazz I who were rated "GOLD" at MusicFest Canada National Finals last May in Calgary. Don't forget to sign our guest book!